Although it is said that only the main process interacts with the native GUI of your operating system, there are techniques to offload some of that work torenderer processes (we’ll look into building a feature leveraging such a technique). 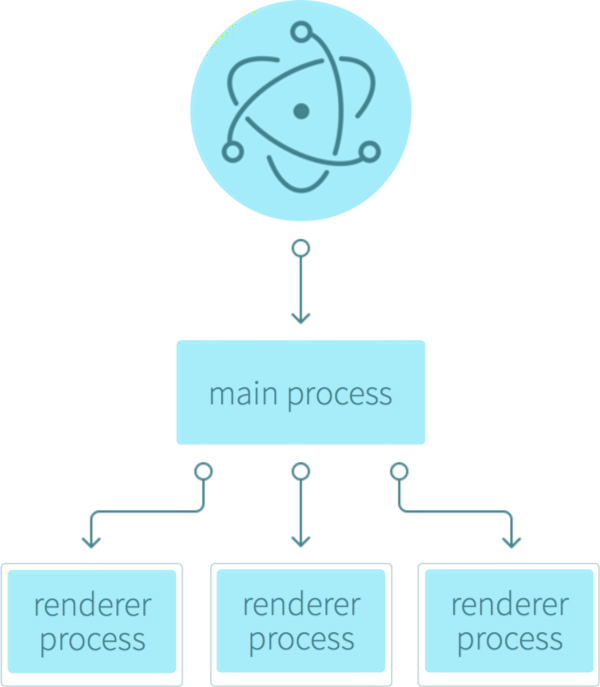 The main process can access the native GUI through a series of modules available directly in Electron. Your desktop application can access all Node modules like the excellent node-notifier to show system notifications, request to make HTTP calls, etc. This guide is accompanied by the sound-machine-tutorial repository. The app module controls your application lifecycle (for example — reacting to the ready state of your application). The BrowserWindow module allows window creation. Once app gets the ready event, we create a new 800 pixels wide and 600 pixels high window using BrowserWindow. That window’s renderer process is going to render our index.html file. First things first — what’s a sound machine? 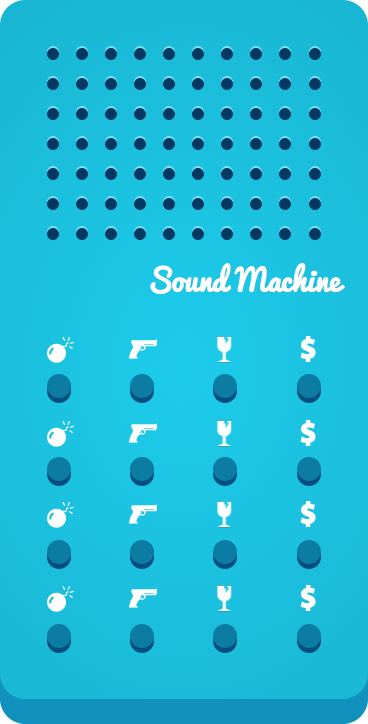 A sound machine is a little device that makes sounds when you press various buttons, mostly cartoon or reaction sounds. It’s a funny little tool to lighten up the mood in an office and a great use case to develop a desktop application as we’re going to explore quite a few concepts while developing it (and get a nifty sound machine to boot). packaging your application (packaging your application for Mac, Windows and Linux). The app folder will house our HTML files of various types within folders like css,js, wav and img. We’re customising the window we’re creating by giving it a dimension, making it non-resizable and frameless. It’s going to look like a real sound machine hovering on your desktop. The question now is — how to move a frameless window (with no title bar) and close it? 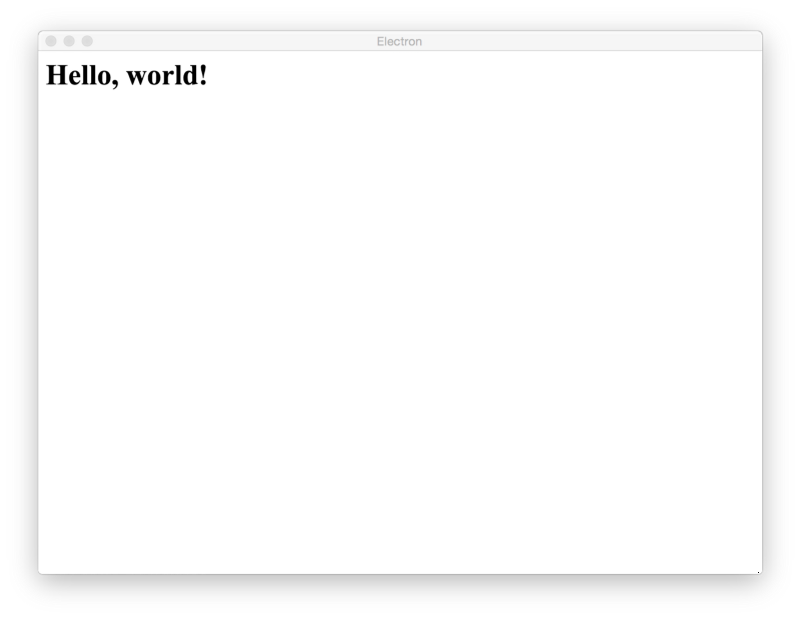 The main.js file can now make a new window and display the sound machine. And really, if you start your application with npm start, you’ll see the sound machine come alive. It’s not a surprise that nothing’s happening right now because we just have a static web page. Electron provides the ipc (inter-process communication) module for that type of communication. ipc allows subscribing to messages on a channel and sending messages to subscribers of a channel. A channel is used to differentiate between receivers of messages and is represented by a string (for example “channel-1”, “channel-2”…). The message can also contain data. Upon receiving a message, the subscriber can react by doing some work and can even answer. The biggest benefit of messaging is separation of concerns — the main process doesn’t have to know which renderer processes there are or which one sent a message. That’s exactly what we’ll do here — subscribe the main process (main.js) to the “close-main-window” channel and send a message on that channel from therenderer process (index.js) when someone clicks the close button. Again, we require the ipc module and bind a click event to the element with the close button. On clicking the close button we send a message via the “close-main-window” channel with the send() method. Plug… er, press and play! To keep thing simple, we’re going to simulate a button click and use the soundButtons selector that we’ve created while binding buttons to playing sounds. Once a message comes with an argument of 1, we’ll take thesoundButtons element and trigger a mouse click on it (note: in a production application, you’d want to encapsulate the sound playing code and execute that). That’s why we’re going to create configuration.js fileand require it whenever we need it. Node.js uses the CommonJS module pattern which means that you export only your API and other files require/use the functions available on that API. Both main.js and settings.js make use of configuration.js. This tells npm to install the nconf module as an application dependency and it will be included and used when we package our application for an end user (in contrast to installing with the save-dev argument which will only include modules for development purposes). nconf only wants to know where to store your settings and we’re giving it the location of the user home folder and a file name. Getting the user home folder is simply a matter of asking Node.js (process.env) and differentiating between various platforms (as observed in the getUserHome() function). Storing or reading settings is then accomplished with the built-in methods ofnconf (set() for storing, get() for reading with save() and load() for file operations) and exporting the API by using the standard CommonJS module.exports syntax. The function resets the global shortcuts so that we can set new ones, reads the modifier keys array from settings, transforms it to a Accelerator-compatiblestring and does the usual global shortcut key registration. It’s a bigger piece of code but still pretty simple. We iterate through all the checkboxes, bind a click event and on each click check if the settings array contains the modifier key or not — and according to that result, modify the array, save the result to settings and send a message to themain process which should update our global shortcuts. The remote module makes RPC style calls from the renderer process to the main process. You require modules and work with them in the renderer process but they’re being instantiated in the main process and methods that you call on them are being executed in the main process. In practice, it means that you remotely request native GUI modules in index.js and call methods on them but they get executed in main.js. In that way, you could require the BrowserWindow module from index.js and instantiate a new browser window. Behind the scenes, that’s still a synchronous call to the main process which actually creates that new browser window. The new options included in the command are self-explanatory. To get a nice icon, you’ll first have to convert it to .icns (for Mac) and/or .ico (for Windows). Just search for a tool to convert your PNG file to these formats like this one (be sure to download the file with the .icns extension and not .hqx). If packaging for Windows from a non-Windows OS, you’ll need wine on your path (Mac users can use brew, while Linux users can use apt-get). Packaging just got a lot easier. 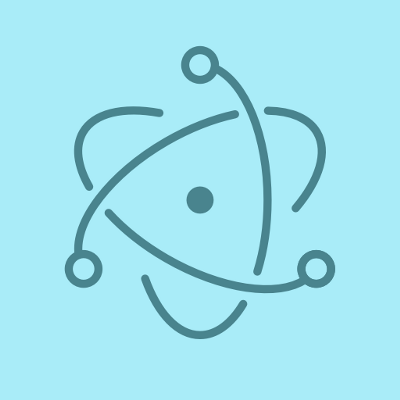 For all of those built-in utilities (and generally while developing applications with Electron), check out the Electron API docs. In the end, Electron is based on io.js (which is going to be merged back into Node.js) and most of Node.js modules are compatible and can be used to extend your application. Just browse npmjs.com and grab what you need. With your favorite language, framework and build tool, why not build a Flickr sync desktop application using the Flickr API and node-flickrapi or a GMail client using Google’s officiall Node.js client library?